ELOQUII! 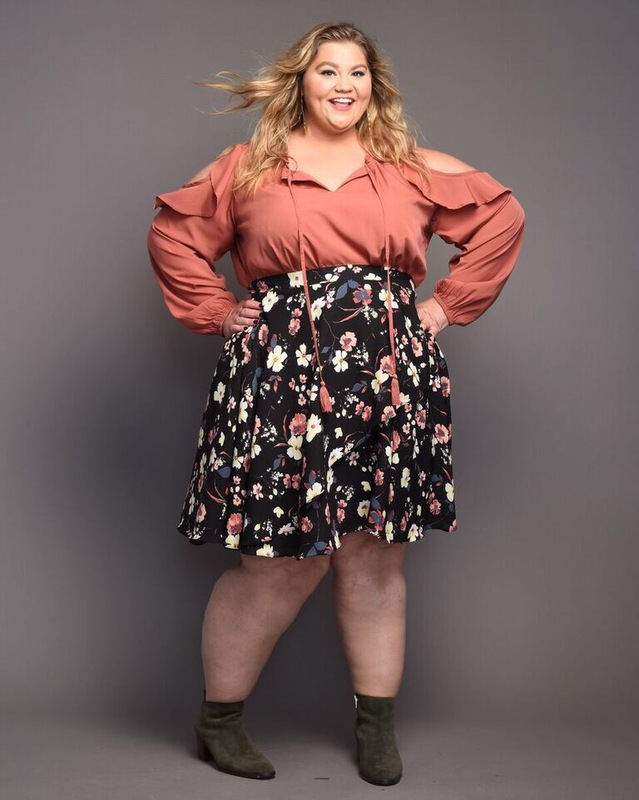 I love Eloquii, so many fun plus-size styles, looks, prints and jeans all in one place! I had recently received a pair Olivia Sculpting Skinny Jeans from Eloquii, which I had been needing jeans. Usually I’m pretty skeptical of jeans, I had been buying them from Lane Bryant for years. However, recently they’ve been different. I’m not quite sure what had changed but the fit and styles were suddenly different. I was having to get jeans 1-2 sizes bigger and they still wouldn’t fit the way I like. Which lead me to try out Eloquii jeans, turns out I LOVE THEM! The fit is GREAT, my bum looks bootylicious and perfectly packed away into the cutest jeans. One other thing I HAVE to mention is the length, it was perfect. I often times struggle with jeans, usually they are too SHORT! I hate when the breeze blow by my bare ankles because mt jeans are too short. 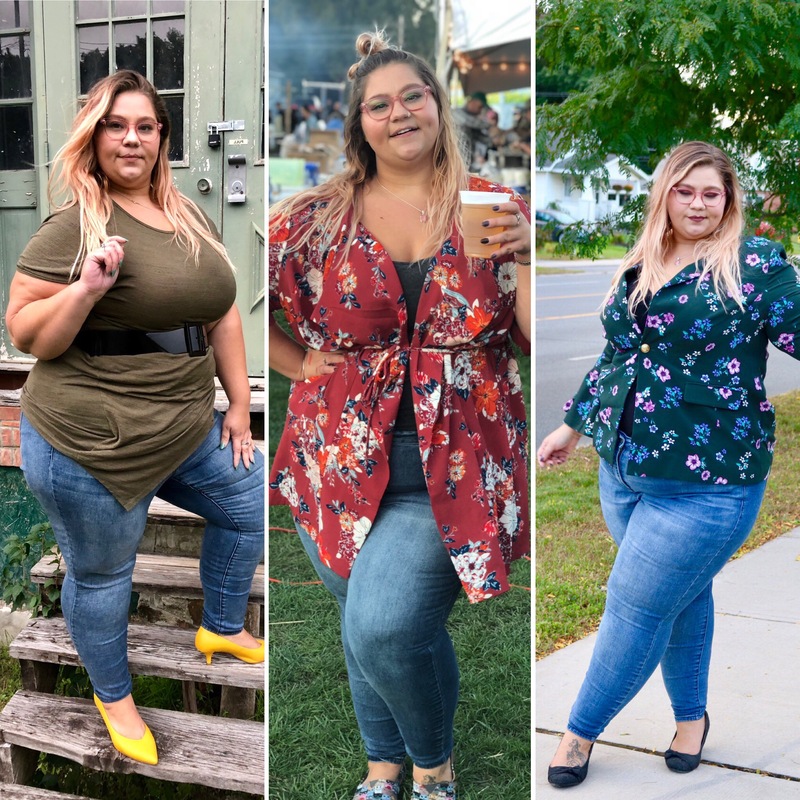 That is NOT the case with this Eloquii jeans, I can’t stop wearing them. I’ve styled them with a cute top (actually a dress), a blazer, and a fun cardigan! All three looks are below! The first time I wore these jeans I styled them with a cute Fashion to Figure dress that I wore as a shirt. I added a belt and then my favorite Eloquii Kitten Heel Pumps too! Then I had styled these jeans was with a cute cardigan from Charming Charlie and a cami. 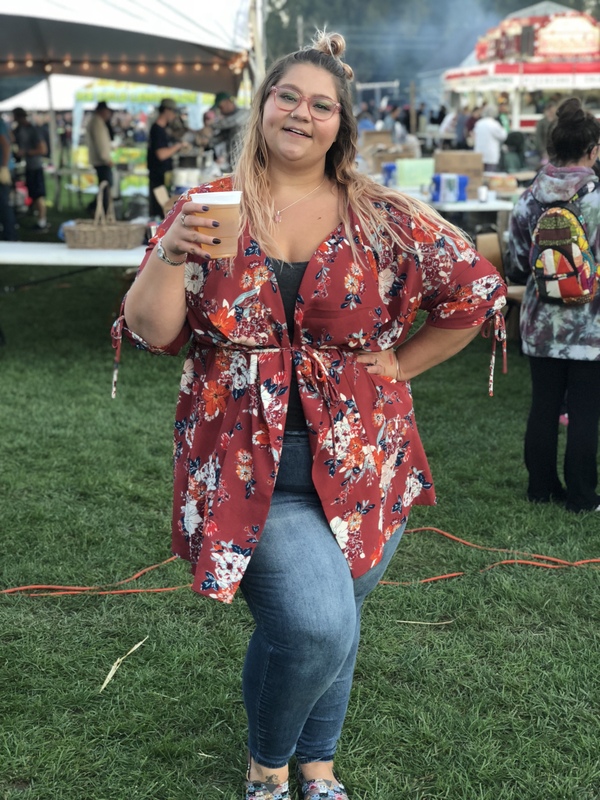 The cami was fully tucked in, cardigan tied in the front and it made the perfect Oktoberfest look! 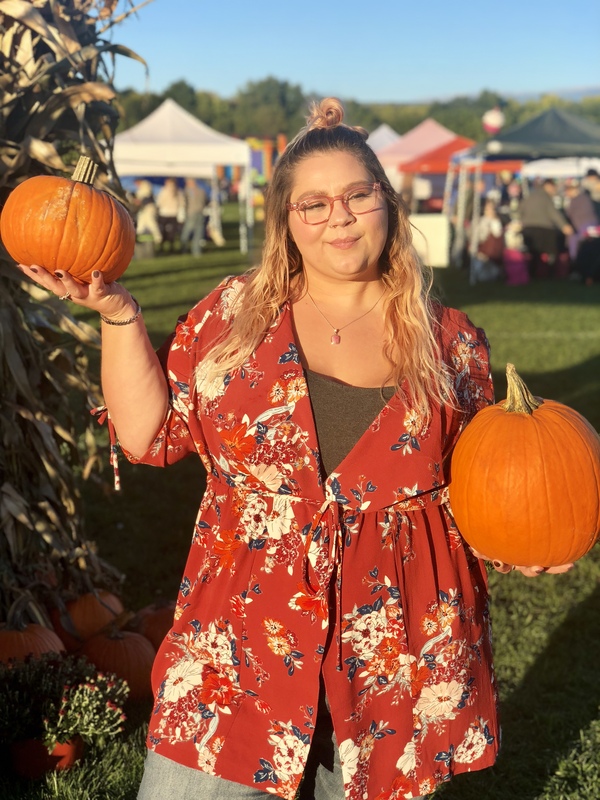 The most recent look I created with the Olivia jeans was with this cute bell sleeved Lane Bryant Blazer – it was SUCH A CUTE LOOK! I hope you enjoyed these outfits and that you are able to find your own ways to style your jeans! Jeans can be worn so many different ways, so be sure to play around!